Join Gonzo’s Quest 3D slots game today at Vegas Spins and find the lost city of Gold, Eldorado. This unique game offers 5 action-packed reels, 3D graphics, extended gameplay, Freefall bonus features, Avalanche features and chances to multiply your riches! Join the action-packed adventure and play Gonzo’s Quest 3D slots game today at Vegas Spins. This hit game is centered around the famous Gonzalo Pizzaro and his quest for the lost city of gold, Eldorado. This unique and popular game boasts 5 action-filled reels and 20 paylines of adventure, show-stopping 3D graphics, extended gameplay and thrilling features! When three or more freefall symbols land on the reels, this activates the Freefall tile bonus feature and extra FREE spins. The game offers a unique cascading Avalanche feature, which means when you score matching symbols, the symbols explode and new symbols replace it. 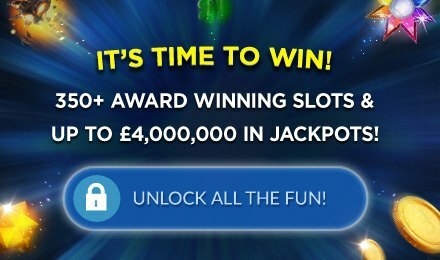 This gives even more chances to trigger more bonuses, FREE spins, multiplied prizes and find your own golden riches!